What happens to Christians during the Great Tribulation? What is the timeline? Find out in this fascinating Study. Don't be caught off guard, but rather be prepared for all that God wants to do through His church during this dark hour that is coming upon our world's history. the reign of the blasphemies of the antichrist. Ken Birks is an ordained Pastor/Teacher in the Body of Christ and is one of the staff pastors at The Rock of Roseville in Roseville, California where he also functions as an elder. Ken has been a part of The Rock of Roseville Church since its inception in 1997. Before becoming a part of The Rock of Roseville, Ken was the Sr. Pastor of Golden Valley Christian Center in Roseville, CA. He has been a born again Christian for over 35 years. In the study on the Bible Prophecy and the Second Coming of Jesus Christ it was established that His coming would not take place until the end of the "Great Tribulation" period of 3 1/2 years. It was also established that there are no scriptures that indicate a rapture or secret appearing of Jesus prior to the revelation of the Second Coming. 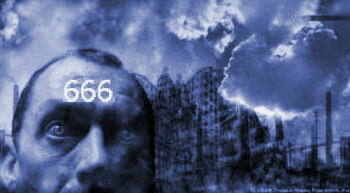 There are scriptures that indicate the Church will be protected during this time from the antichrist and 666 mark that is to come on the earth. The objective is to examine what happens to the church and Christians during this time and what God's plans are for the ministry of this glorious church prior to the great tribulation. The tribulation period is the period of time during the blowing of the seventh trumpet judgment when seven bowls of God's final judgment and wrath are being poured out upon the earth. Daniel speaks of this time as a time of trouble. Daniel 12:1 "At that time Michael shall stand up, the great prince who stands watch over the sons of your people; and there shall be a time of trouble, such as never was since there was a nation, even to that time. And at that time your people shall be delivered, every one who is found written in the book. Revelation 13:16-17 And he causes all, both small and great, rich and poor, free and slave, to receive a mark on their right hand or on their foreheads, and that no one may buy or sell except one who has the mark or the name of the beast, or the number of his name. The goal in this study is to approach the subject by looking at all of the various clues that are found in the scriptures. By putting them together you will begin to see a clear picture emerging of the Second coming of Christ and the Church during the Great tribulation.